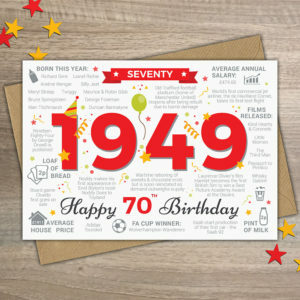 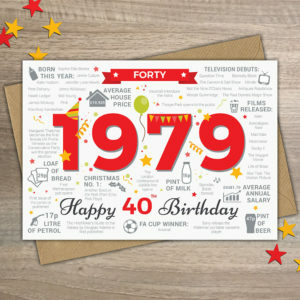 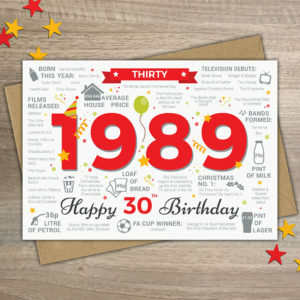 A Milestone Birthday card to celebrate eighteenth birthdays in 2019. 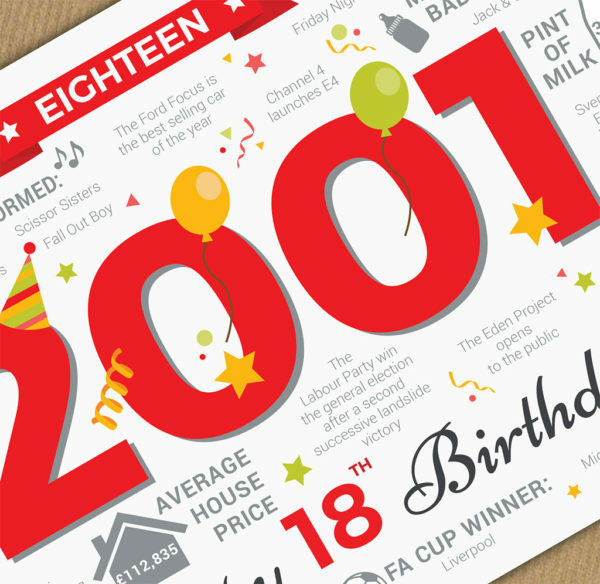 Full of fun and interesting facts and events from the year 2001. 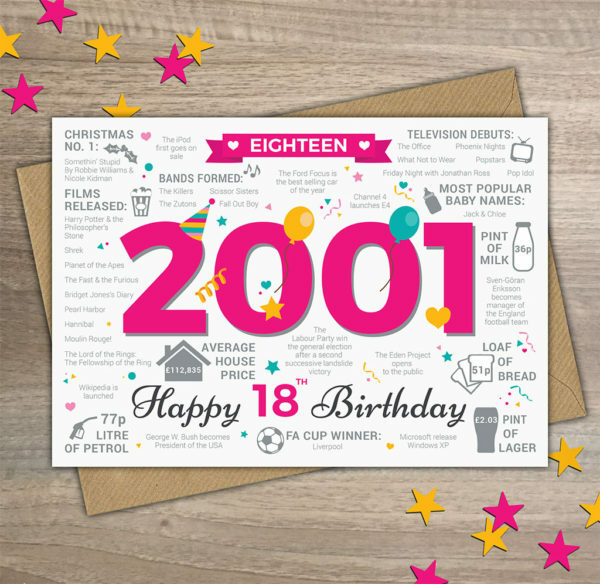 Take the receiver on a trip back eighteen years to what was happening in 2001. For example, did you know that in 2001… The Apple iPod first went on sale, the band The Killers formed, a pint of larger cost just £2.03 (not anymore sadly!) and Jack and Chloe were the most popular baby names!